Video games are getting even more realistic. Long gone are days of linear gaming, when a player would be required to traverse from Point A to Point B without dying, to finish a level. This process would continue onwards until a video game was complete. Not anymore, though. Now, with non-linear games, you do anything at pretty much anytime. This design doesn’t just entitle you to finish levels, but to also partake in extra events whilst playing. Side-quests, secondary objectives, and even side-games have been added, as the video gaming world develops titles that are ever more versatile, and realistic. One area where games have evolved thanks to this advance, is gambling. There are a handful of top class video games which contain gambling features within them – in effect, you can play gambling games inside non-gambling games. Now you are obviously never going to be able to win real money in these games, so what’s the point of playing them? Well, the answer is the same as the reason that you play any video game: for entertainment. Some video games have grasped onto the gambling theme and created side-games which are far more memorable than others. Not all of these games are new, but for top quality gambling mini-games, these video games are the best. Final Fantasy VII isn’t the only Final Fantasy game in the long-lived series to contain gambling features, but it is the one that is the most prominent. In this particular RPG (Role Playing Game), which was released in 1997, there is even a casino/arcade style section for you to play in. When taking a break from the non-stop battle sequences in the game, why not pop into the Golden Saucer? Inside, you can use Gil to play some of the grabber machines, mini video games, motor cycle crash events, fortune telling machines, boxing games, arm wrestling competitions and Chocobo races. 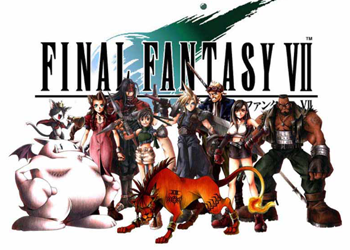 Final Fantasy VII also contains a slot feature, which is used in the Battle Arena. Players must use GP on some of the games, especially in the Battle Arena where they must pick up handicaps (via classic slots), to fight fiends. Winning Battle Points in this feature can see you buy extra goodies, such as gear (weapons and armour) for your character. Several other Final Fantasy games have also contained slots, although their purpose varies from game to game. This game was a follow on from Fallout 3, and was released in 2010 for the PS3, Xbox 360 and PC. A post-apocalyptic title set in various states, one of the most endearing things about this game was its New Vegas Strip section. 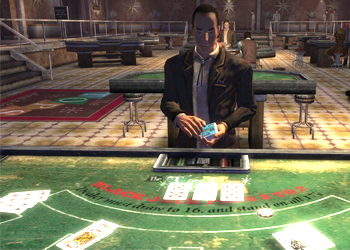 A handful of casinos can be entered by the player in Fallout: New Vegas. Once inside you can play blackjack, roulette and slot mini games to win currency. Most impressive was a card game known as Caravan, which was developed especially for this release. There’s no real point (in terms of the storyline) to making the trip to New Vegas’ casinos, but it can make for a welcome reprieve from the high-action gameplay that Fallout: New Vegas delivers. Released in 2010 for the PS3 and Xbox 360; Red Dead Redemption is a one of a kind title. Rockstar (the makers of the Grand Theft Auto series of games – which we’ll come to shortly), developed Red Dead Redemption, so it has quite a few similar features, not least gambling side-games. Poker, blackjack, and several other casino style games are available to play, as well as some non-traditional gambling games, such as horseshoe – games were limited in that day and age! Again, there isn’t really a point to gambling in this game, save for wasting time. However, if you want to try gambling in the Wild West, then this is pretty much the only game where you can try your hand at it. 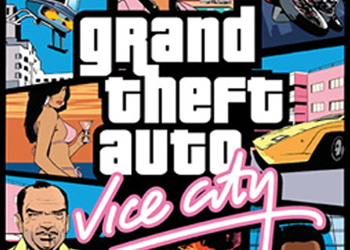 It wasn’t until 2002’s Grand Theft Auto: Vice City that gambling first appeared in the GTA franchise. This PlayStation 2 game permitted players to street race, for a small fee. Naturally, by the time that Grand Theft Auto: San Andreas was released two years later, gambling in GTA had become a bit more varied, and a lot more fun. San Andreas allowed players to stake cash on blackjack, roulette, slots, video poker, and a wheel of fortune, as well as pool, inside track horse races, and low-rider challenges, via casinos and betting shops. Originally, the game would also have featured craps, and Texas Hold ‘em poker, too, but these were cut from the final release. As far as authentic, dirty and dangerous gambling goes, Grand Theft Auto: Vice City and San Andreas are the top dogs. Which brings us to the final game in our top five. Grand Theft Auto V. Now admittedly, anybody who has played this game will have noticed the casino (or even the cut-scene featuring a man thrown out of the casino), and yet, you cannot enter it. The casino’s doors – it seems – are always locked. There is hope those doors will be unlocked online in the near future. That doesn’t mean that you won’t be able to bet in Grand Theft Auto V in the future, but this moment in time, betting is not permitted. Yet there are plenty of Inside Track betting shops located around the city, and there is also the Vinewood Racetrack (for horse races). It is perfectly logical that these features have been developed so that in the very near future, you’ll be able to enter them and bet. We’ve included this game here, because it represents the newest of our list. 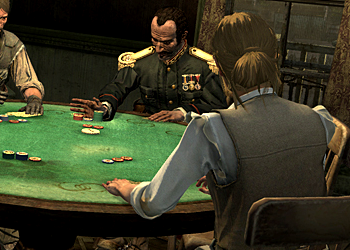 It will also (in all probability), become the best video game to contain gambling features once the features have been activated in Grand Theft Auto V. Rockstar have excelled in making this game one of the most popular titles of all time – it is highly probably that their casino and horse racing sections are top dollar, too. There are many more titles out there, which contain gambling features of some kind or another. To name a few: Pokémon, Pirates of the Caribbean: At World’s End (if you fancy playing that famous dice game, which you saw in Dead Man’s Chest), Star Wars: Knights of the Old Republic, Elder Scrolls V: Skyrim, and the list goes ever on. You can even go all the way back to 1997’s Titanic: An Adventure out of Time, to play blackjack on the famous sinking ship with a French Riviera pro, if you wish. In fact, you can probably go back even further. Gambling may always have been a part of video games, although, with our new non-linear games, it has never been as big or as realistic as it is today. If you want to gamble for real read our online casino reviews.